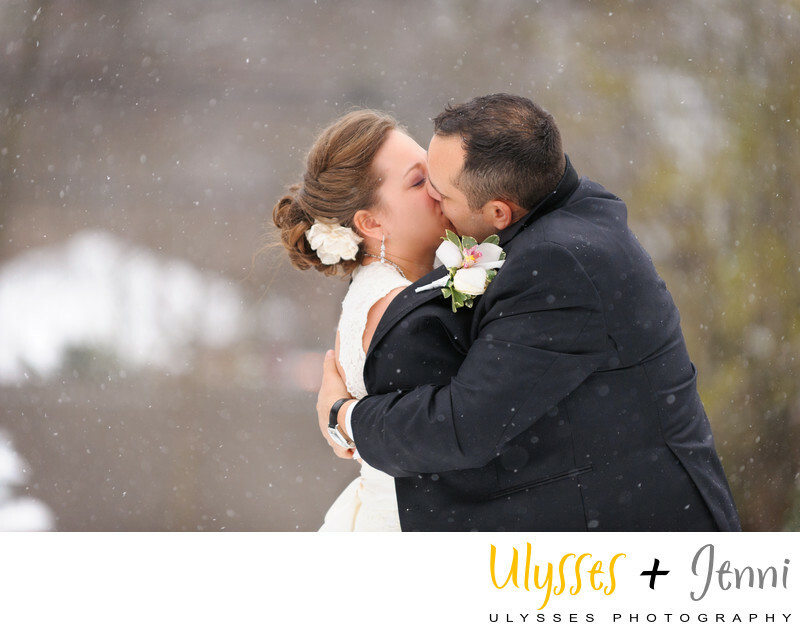 What could be more romantic than a kiss in the snow? He's keeping her warmly wrapped in his tuxedo jacket. After braving the cold on a wintry day to get unique photos, this couple was delighted with the result! Their Fox Hollow wedding was warm and cozy. Location: 7725 Jericho Turnpike, Woodbury, New York 11797 . Keywords: Amanda + Will (3), blizzard (12), Fox Hollow (6), Long Island (15), rabbi (3), snow (6), wedding (528), Winter (27).